And yet, this morning in the stillness of my devotional time, my mind is led back to something much bigger. Something that the Lord has been reminding me of all year. 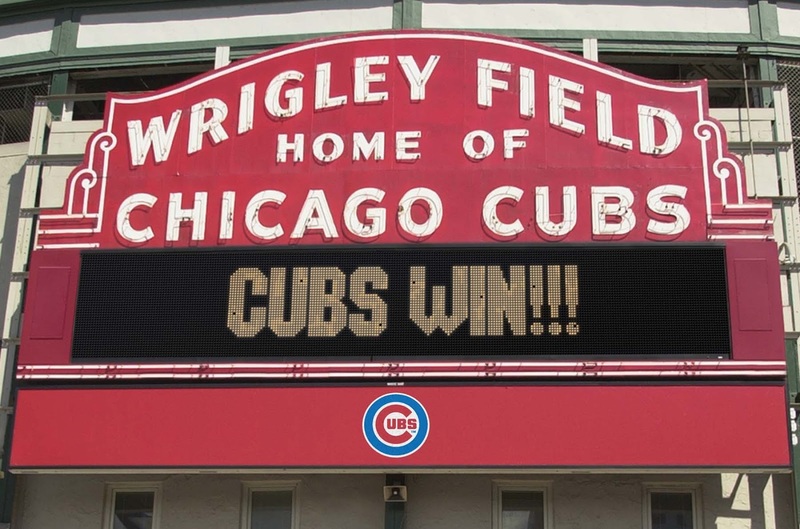 Something far more reaching and incredible than the successful end to an 108 year drought that both myself and my fellow Cubbie fans can joyfully claim as a WIN... finally. The Holy Spirit has continued to whisper this in my ear and put it before me over and over this year. Leading my heart through the Door of Heaven. Escorting my soul into His place of peace. Causing me to thankfully reflect on the Throne that stand forever. The Kingdom that will never fall. The Master, Father, Creator, Savior, Lord Almighty... the King of kings who will never leave or fail me. How magnificent and awesome my God truly is! Even now, they worship aloud. Even now, all praise and glory belongs only to Him. Here is where the devoted and righteous fall down on their knees, laying down their crowns in gifted praise. Where nothing matters more than the One who sits secure, relaxed, and in full control. Where all life comes. Where all hope leads. Where glory, honor, and thanksgiving to His Highness continues for ever, and ever, and ever. Friends, the world we live in has both ups and downs, good times and bad. There are joyful events and scary moments. There are seasons of change and seasons of silence. Mostly, this world can easily distract us from reflecting upon the eternal Throne of the Living God. We exist because He chose us. We are blessed because He gives to us. We have hope and a victorious future overcoming all sin and death because He loves us. This is the King who gave up his only Son's life so that WE MAY KNOW HIM INTIMATELY! As certain as the reality of the Chicago Cubs FINALLY winning the World Series, so is the trustworthy truth of God's promised Word. Because of this, we must live every single moment with the secure anticipation of the ultimate triumph that awaits us in His presence! and is (thankfully, mercifully, graciously, excitedly) to come!" Blessed be the His Name forevermore!